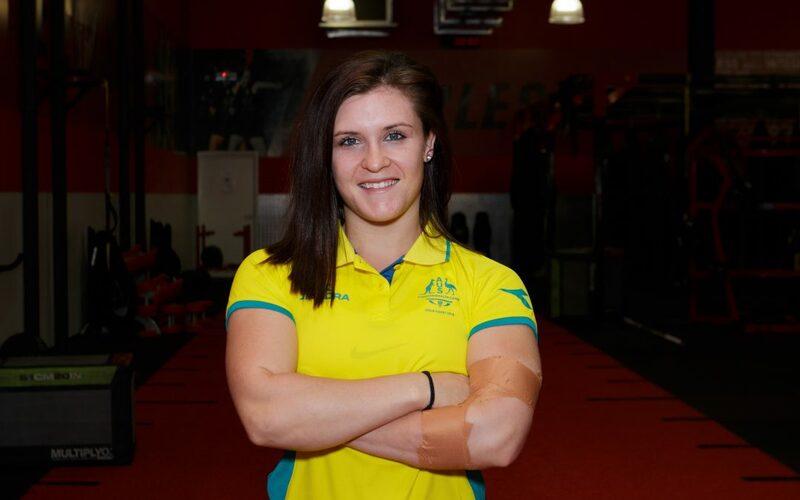 In the lead up to the Games we will be taking a closer look into the journey of one of Australia’s most exciting participants, Australian Wrestling athlete Carissa Holland. Taking up the sport of Wrestling at only 9 years of age to help her deal with bullying at school, Carissa’s story is a great example of where hard work, determination and a never give up attitude can take you in life. For Carissa, this will be her second Games representing Australia having already competed in her first games in Glasgow 2014, where she was a quarter finalist in the 58kg division. Since then, by working with the Commonwealth High Performance Team, Carissa has reduced her weight division and is ready to face the competition and break through her opponent’s weaknesses one obstacle at a time. Entered in the women’s freestyle wrestling 53kg division in the Gold Coast, Carissa is determined to improve on her efforts in Glasgow. This Games, she has boldly declared she is not leaving without a medal. Hard working athletes such as Carissa are taking the sport of wrestling to a new level, with the skill and determination on show making the sport a must see event. Catch all the wrestling when it begins on Thursday 12th April at Carrara Sports and Leisure Centre. To find out more about Carissa Holland’s unique story and to show your support check out part 1 of our 3 video series now.